Apartments for rent in Seef listed with full details about price, location, and specialties. All the flats available are carefully picked to vary in price and standard in order to meet all needs. Images and full details of the displayed properties are available also to make search easier for users. 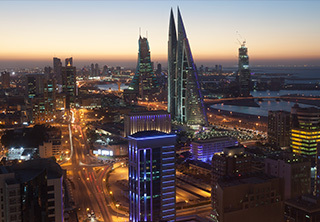 Staying in an apartment in an area like Seef district is something that anyone in Bahrain looks up to. It's a lofty location that has many touristic and recreational hotspots in addition to many business centers. There is Seef Mall which has a wide set of restaurants and shops, Bahrain's biggest City Center mall, and a number of cinema halls. If you are looking for a certain property with specific characteristics, you could filter the properties using the buttons available on the top of the page. You could arrange them descendingly or ascendingly according to the maximum price, minimum price, and publish date. Seef apartments which are displayed for rent on Weetas lists are the best you would find in this area. So, you don't have to look anywhere else as our lists are totally collective and comprehensive. You also have the chance to choose furnished and unfurnished apartments as both are available.